To start tracking time, simply click the “launch time tracker” button. Add a new project or select from previous projects to specify which project you are tracking. 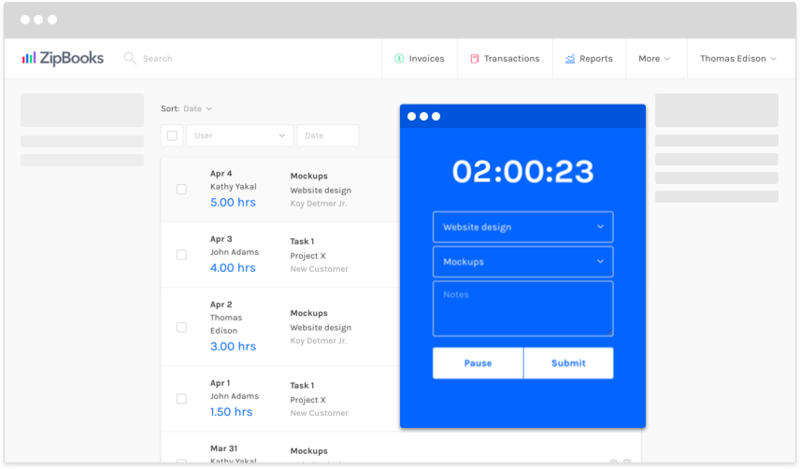 Add a project and customer directly from the time tracker. The ‘optional notes’ section allows you to add any extra information about the project right from the time tracker. The ZipBooks time tracking extension supports all modern browsers. From the extension, add a new project or task, and any optional notes and start tracking time without signing in to the app. Start and stop the timer to keep track of time while you work, or add time manually from the “time tracking” tab. Gather unbilled time into invoices you create for clients.